diabetes medications | Florida affordable in Florida ? With RX Solution they can be, Jupiter, Boca Raton, Key West, Tampa and all of Florida we have programs that can help. 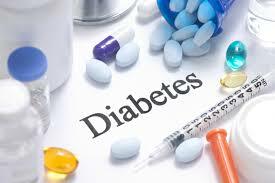 Diabetes type 2 is a condition in which the body is resistant to insulin resulting in high blood sugar levels. Symptoms include fatigue, hunger, thirst, increased urination, and tingling in feet and hands. This varies and is up to each drug company. Most ship to your doctor,s ffice but some will ship directly to your home but there are exceptions.